Genograms represent an individual’s family medical history and relationships. These pictorial displays were developed in the mid-1980s and have been used in many fields. Genograms go beyond a typical family tree with a system of symbols which illustrate patterns that occur from generation to generation. Both advantages and disadvantages are present when using genograms in a professional setting. 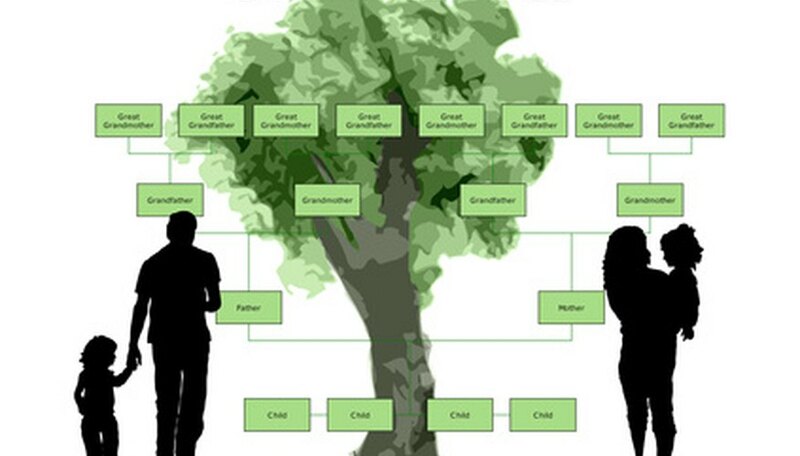 The genogram is used to detect patterns in a family’s history. It is more effective than a family tree because it shows both how family members are related and the quality of those relationships. A standard family tree is less specific. Genograms can detect patterns in psychological health and hereditary diseases and can show how an immediate family can improve its relationships. Visual representation can help people understand patterns they may never have noticed. Specific symbols in a genogram show many facets of relationships and medical conditions in families. This specificity is a key in deciphering the difficult connections that family members can share. For example, a jagged line denotes that a relationship is hostile; a jagged line with two black lines through it represents a close and hostile relationship. Medical symbols represent conditions such as diabetes, depression and substance abuse. Genograms can be used in genealogy to show a complicated family history. They are used in medicine to show context quickly for various conditions and diseases. Genograms give those in the helping professions, such as social work and ministry, a look at the emotional status of the family with which they are working. Genograms can also be used in research, psychology and education. One of the issues of a genogram is that it typically shows only the last few generations of a family. By examining only a limited scope, a doctor or social worker may miss out on other patterns that would emerge from a larger context. By contrast, a family tree may go back hundreds of years. The accuracy of a genogram depends on the perspective and memories of the person who creates it. If this person does not have a clear view of some relationships in the family, he may miss the point of the exercise. This is also true if the person creating the genogram does not have a clear view of his family medical history.